I just posted about another Organix Shampoo and Conditioner which I love, but honestly I love these MORE. LIke way MORE and here’s why. 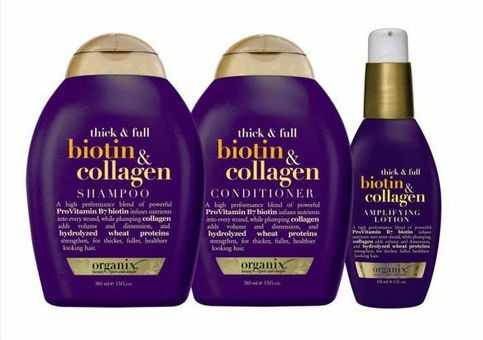 While the Coconut Shampoo and Conditioner by Organix is great and leaves me with pretty manageable and amazing hair, the Biotin and Collagen set leaves me with hair thats even more awesome. The frizz is practically at zero and the volume is maintained to awesome levels and I’m left with super rad waves. Also the scent of this duo is pretty pleasant and lasts quite a while. I can’t stop using this duo, every time I skip it in favor of something else, my hair is just a tad bit less amazing and I just can’t have that.